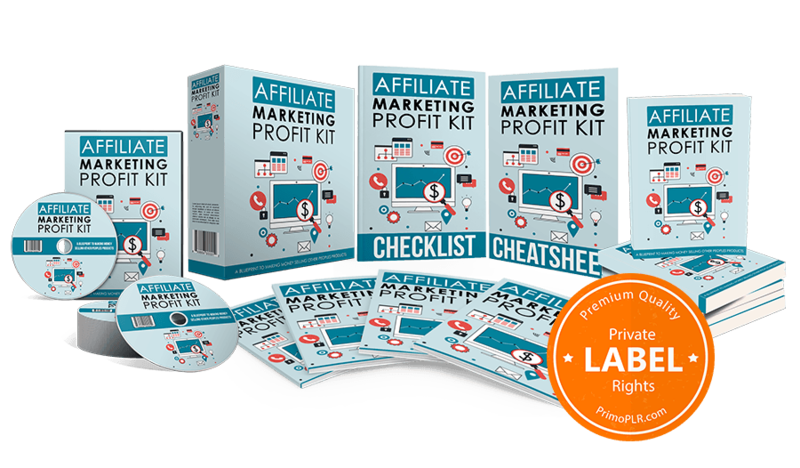 Starting today you can get your copy of the BRAND NEW PLR package: "Affiliate Marketing Profit Kit - A Blueprint To Making Money Selling Other Peoples Products". Secure your copy right away! You need to Act Fast on this one... There’s currently an early-bird discount if you grab your copy today. *License Pack: PLR, MRR, & RR licenses Included..
As you can see, with this premium PLR package you'll get everything you need to start making a profit right away. Get instant access to this brand new PLR product now while it's still discounted for the launch.